Serene Saint Francis Statue has Solar Powered Birdbath, giving a beautiful eternal blue glow. Resin stone mix St Francis Statue measures 20" in height. 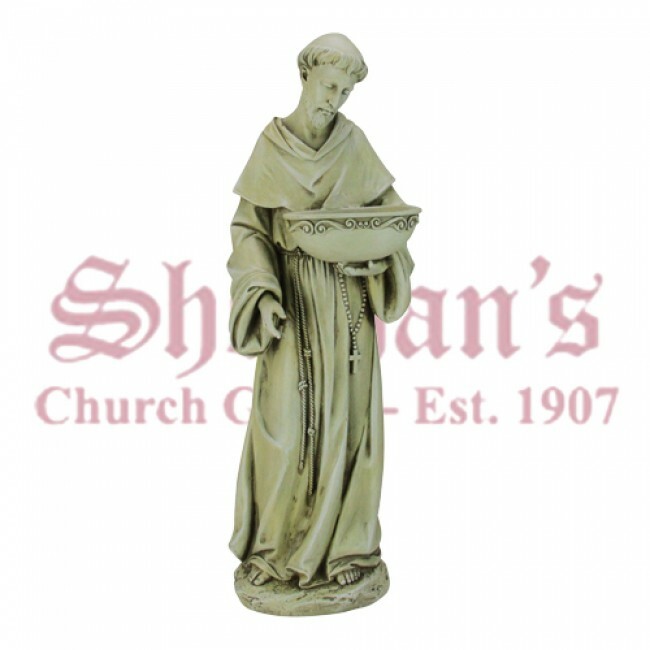 Expertly crafted and finely detailed features of St Francis brings Him to life. A lovely addition to your backyard, watching how the birds are attracted to the glow.